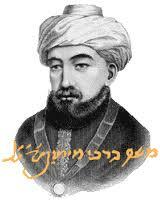 The great Jewish Philosopher Maimonides lived in Spain, Morocco and Egypt between 1135 and 1205. One of his most popular teachings is the eight levels of charity. The lowest is one who gives unwillingly. Above that is one who gives inadequately but gladly. A better level is one who gives to the poor only after being asked. The fifth level gives directly to the hands of the poor, but before being asked. The fourth level is when the giver does not know the recipient, but the recipient knows who the benefactor is. The third level is when the giver knows the recipient but the recipient does NOT know who the benefactor us. The second highest level of direct charity is when neither the recipient nor the giver knows each other. This good deed is devoid of recognition and pride and is thus deemed to be solely for the sake of heaven. The highest level is to support one with a gift or a loan, or entering into a partnership with him or finding employment for him in order to strengthen him so he is not dependent on anyone. One senses that the Jews see a substantial moral imperative in business. Because of this hierarchy of charity that I learned in Sunday school years ago, I have been weary of those who publicize their charitable giving. There is a case to be made that such publicity encourages others to also be charitable, but I have a greater admiration for the many generous people who stay quiet about it. I am bold enough to recommend one level of charity below the lowest; to give in such a way to promote one’s own power while making the recipient dependent on you for life. That could be worse than no charity at all.